I'm not very good at intricate dessert decorating. The most ambitious cookie recipe I've ever tried was this one for Valentine cookies with royal icing. While I vowed to get better at using royal icing, I have totally procrastinated. Instead, I turned my attention back to sprinkles! They make everyone smile, including my grandsons. 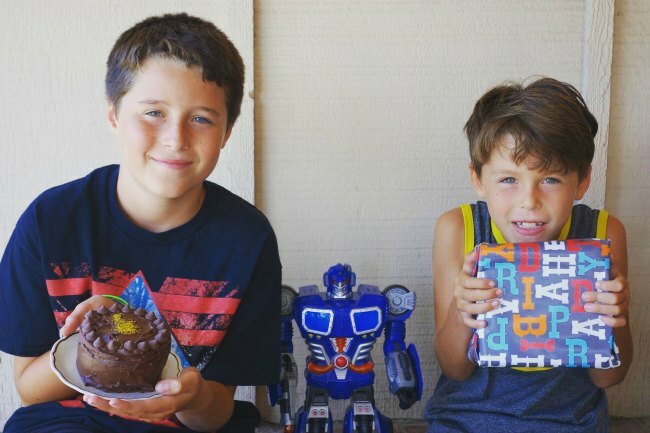 My grandsons are now 15 (aaack!) and 11. We spend less time in the kitchen because they don't require as much "babysitting," but we have wonderful memories of baking together. 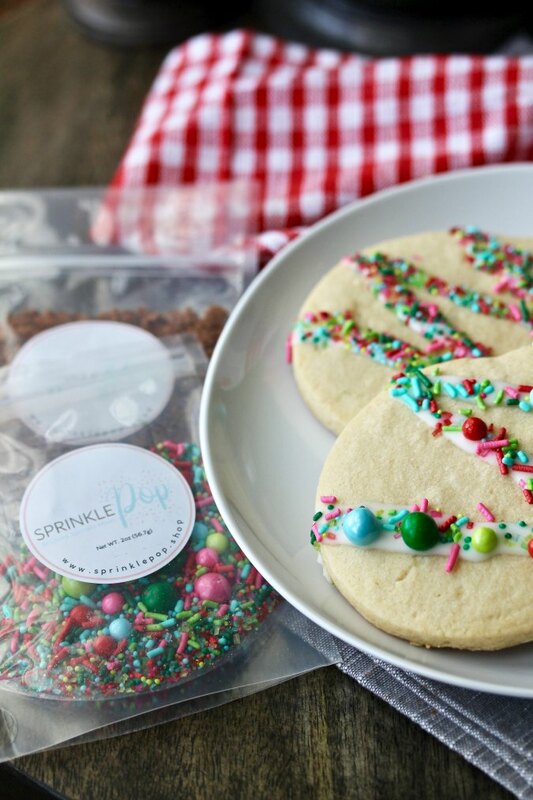 Pretty much all of the projects involved sprinkles. In fact, the youngest one once tried "drinking" sprinkles from the bottle when I turned my back. 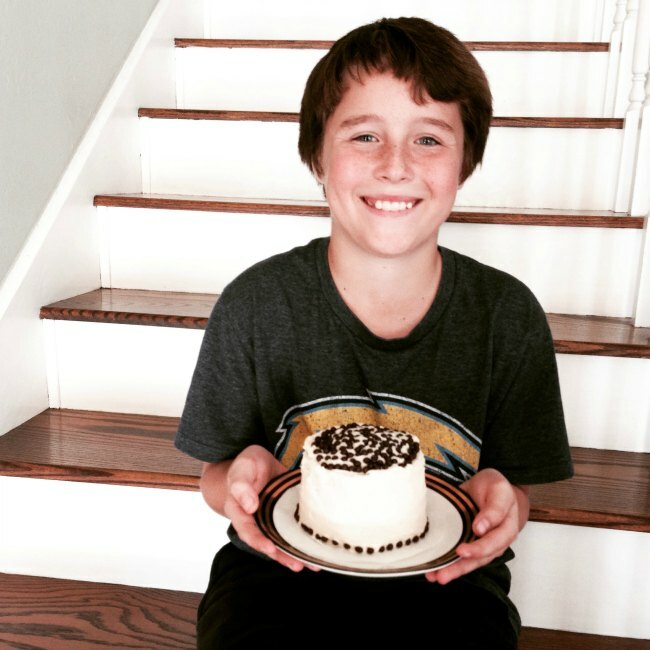 One of my favorite projects with them was making their dad an Anaheim Ducks birthday cake. 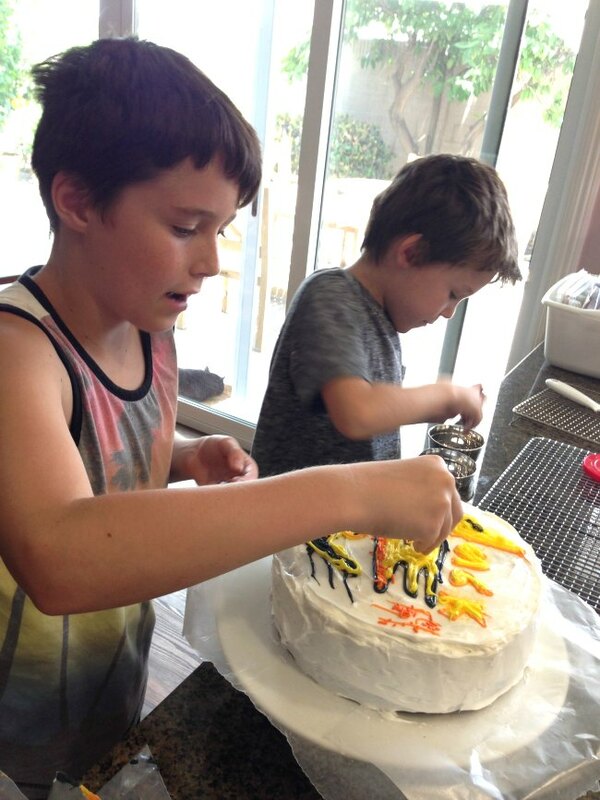 In fact, I just browsed through my photos and came across so many pics of the boys making and presenting cakes for their dad's birthday. Check out the tiny chocolate balls on this one. I adore this one with the disk sprinkles on top. I love this mini cake with the yellow swath of sprinkles in the middle. I think it was supposed to be a Ducks logo too. We also made little mini baked donuts a few times .... with sprinkles of course! If you consider royal icing a royal pain, try sprinkles. They make everything pretty! 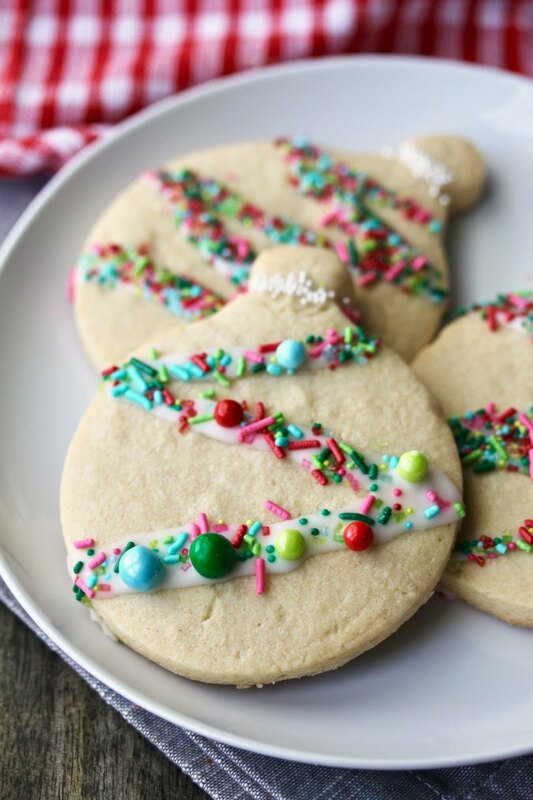 After you bake the ornament cookies (or any cutout cookie), let the kids drizzle some powdered sugar and vanilla icing over the ornaments and go to town with the sprinkles. They will have so much fun. Welcome to Christmas Cookie Week! We have some fun prizes you could win by entering on the Rafflecopter here. For the sprinkles, I received a small sample from Sprinkle Pop, one of the companies sponsoring a prize. The larger balls are filled with chocolate. Amazing. I also used vanilla from Adams Extract and a cookie cutter from YumGoggle. 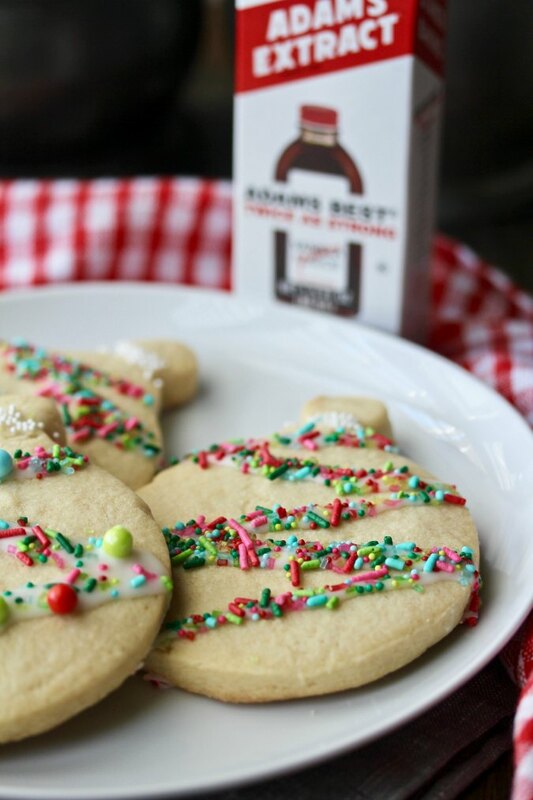 They all are offering some really cool prizes in conjunction with Christmas Cookie Week. Be sure to visit this post for more information about the prizes and for a chance to enter. I would love it if you would win! Whisk together the flour and baking powder in a medium bowl. In the bowl of a stand mixer, cream the butter and the sugar until fluffy. Beat in the egg and the extracts. Gradually add in the flour and beat until just combined. Knead the dough by hand for about 30 seconds and then roll it out to 1/4 to 3/8 inch thick. Cut with the cookie cutter of your choice, gather up the scraps and re-roll to cut more cookies. Place the cookies on a parchment lined baking sheet and bake, one sheet at a time, for 10 to 15 minutes, depending on the size and thickness of the cookies. Cool the cookies on the pan. Mix the powdered sugar, vanilla, and just enough water, milk, or cream to create a thick but syrupy glaze. Drizzle the glaze over the cookies and add sprinkles. Let the cookies dry. Once the glaze has hardened, store them in an airtight container. 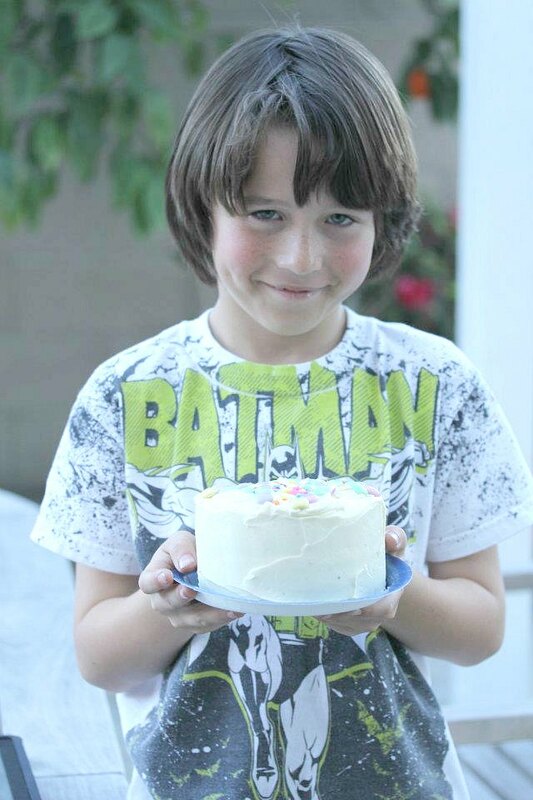 I look baking with my kids and love to see all of the things you've baked with your grandsons. That's some great family baking going on! Such a wonderful tradition! I cherish those memories with my mom and grandmothers, and am loving building them with my own kids. 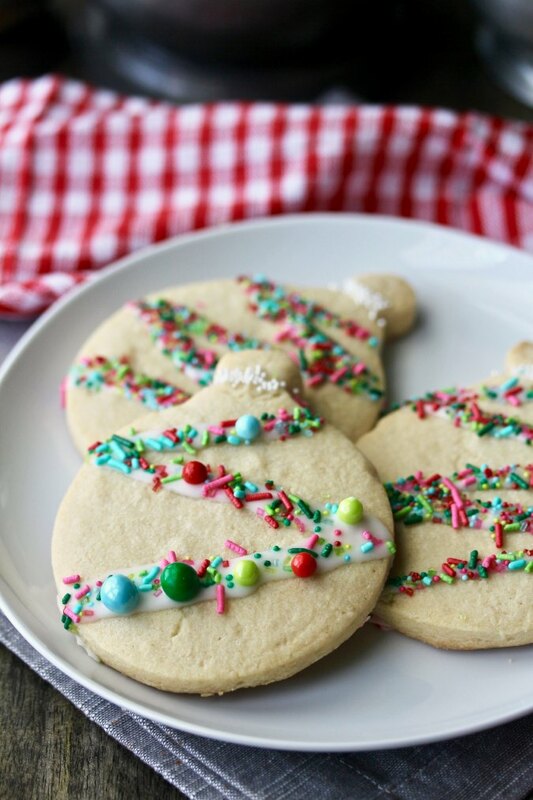 Beautiful cookies - decorated just lovely with the prettiest of sprinkles! These cookies are beautiful and pictures of your grandchildren precious. 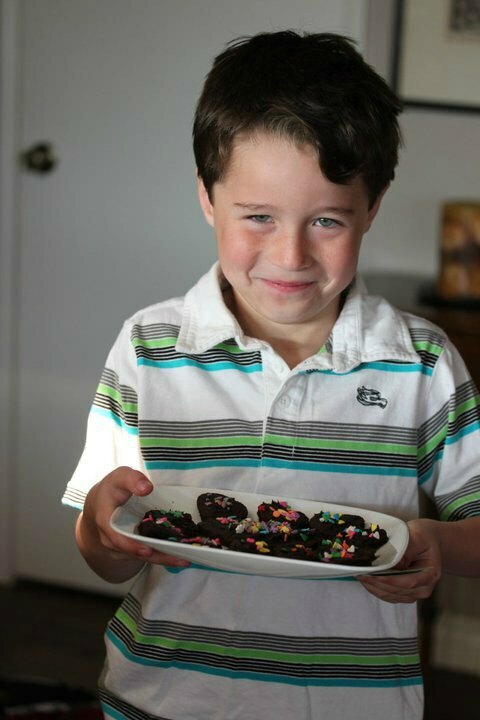 That's why I love doing my Holiday Cookie Baking class each year...just to have the experience of baking with the kid. Thanks Patricia! It's the best experience, isn't it? I love all those photos!! Reminds me of all my efforts at decorating baked goods. Those sprinkles are so fun! I might have to get that mix next time. It's so pretty! Thanks Chris! 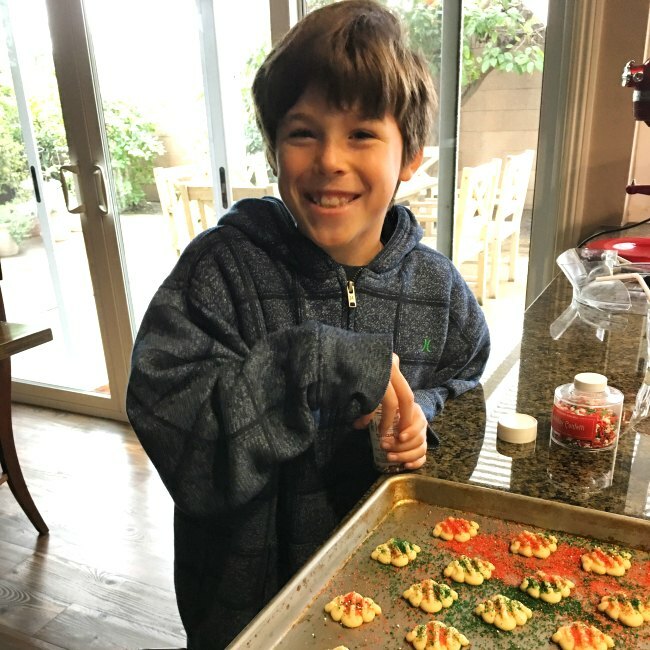 You have wonderful helpers :) I love the colors of the sprinkles and you have just the right decoration to cookie ratio for me! So fun to see what the kids come up with for decorations! I love the garland design. It makes them pretty without adding too much icing. What a wonderful celebration. 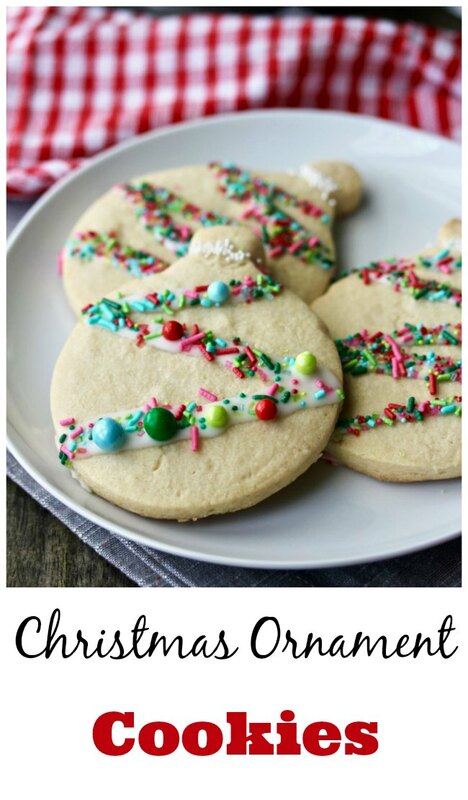 Great use of the sprinkles for those ornaments.